Making a name for yourself on the ecommerce arena isn’t always easy to do. There are literally hundreds of thousands of people from around the world all selling different products on various online marketplaces, and if you’re selling the same products as other people it can be difficult standing out. That’s why so many shop owners and online retailers rely on Repricers. These helpful tools work to change product prices to help keep them competitive and to make sure that the sellers are getting the sales figures that they are after. 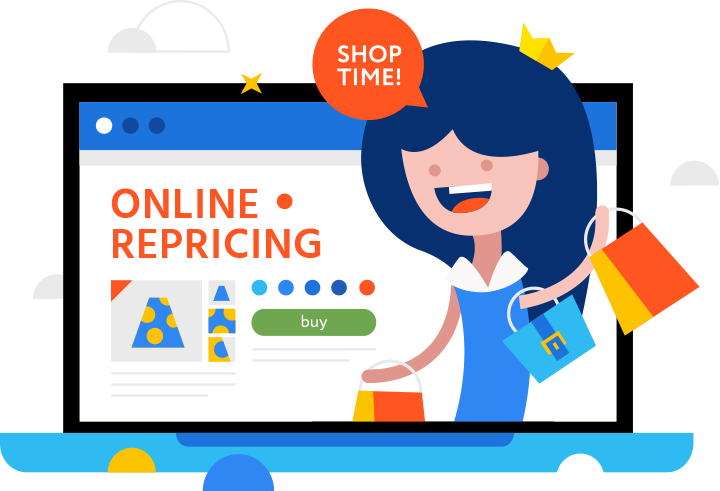 Repricers are special software-based tools that can either change the prices of Amazon product listings directly, or suggest new prices for different product listings so that sellers can go in and make the necessary changes. This software works hard to keep your business competitive and will let you know when you are at a disadvantage. There are literally dozens of different repricers available today, so it takes time and research to find the right option for your own personal needs. Repricers are best for online retailers that sell a large volume of products on Amazon for example. The software will work for sellers that only list up a few items as well, but it won’t be as beneficial as it is for the different retailers that sell dozens or even hundreds of different products all at the same time. If you sell products on an online marketplace, and you’re listed in competitive markets where several other business owners are also selling products, a repricer could seriously benefit you. Repricers are beneficial to most people that sell heavily , but the people with a large volume of products, or the people in highly competitive markets will draw more benefits from these helpful tools than everyone else. Before purchasing a repricer, stop to take a minute to think about how much value such a tool is going to offer you and whether or not it’s going to make a big enough difference for you. How Do Repricer Tools Work? Repricers all work on the same principles. They scan prices for different products that you are selling, and they make suggestions or actual changes to the prices of your products to keep them competitive. The software will not only make sure that your products are showing up at the top of the purchase list, but it will also help you take up more of the purchase list than competitiors. With a good solid repricer tool working for you, you might sell two or three of a product before your nearest competitor sells one. These tools are carefully designed to help you sell more of a product, but they’re also made to help you avoid cutting into your profits too far. They can be adjusted to keep price levels from falling too far, and with the right Repricer tool you can preserve those hard-earned profits before you lose out on too much money. The biggest benefit of an repricer is its ability to get you ahead of your competition. This software will keep track of what competitors are doing in the same market as you, and make slight adjustments to make sure that your product appears more favorable than the others. With some help from your automated software you will sell more products and enjoy more profits than your competitors. It’s tough competing with a large number of sellers manually, but the right repricing tools will give you the edge that you need. While Amazon repricers are traditionally used in crowded markets where it is difficult to achieve good sales numbers when up against a large number of other sellers, that’s not the only thing these tools are useful for. When used properly, a repricer can also boost the sales numbers for exclusive products that you are offering. Even when you’re selling a product that nobody else has access to, some of the more advanced repricers can look at market patterns, demand and supply figures, competitor’s products and come up with slight price modifications that will have a huge impact on your overall sales figures for the month. Even though there are quite a few benefits to these tools, there are also some downsides as well. It’s important to consider both the benefits and drawbacks of a tool before you go ahead and purchase it, which is why we’ve put together this list of pros and cons for you to quickly scan through. Get familiar with the downfalls and benefits of the software, and then move ahead with the right product for you from there. Just to expand on the above a little and explain what we’re talking about, I’m going to go over the benefits and drawbacks in a bit more length down below. Make sure you really understand the benefits and downfalls to Amazon Repricers before deciding if one is right for your own personal uses, because these tools do come with some risks. Repricers can lead to more sales, better sales figures and an edge on your competitors when you get the right products and you make use of them properly. They adjust your sales prices up and down to keep them competitive and to help you avoid missing out on money as well. This means when a competitor drops their price below yours, or they list a product at a lower price initially, your software will respond to that and help make sure you get the sale. The software can be configured to help keep your prices from dropping too low as well. Not only will a repricer drop prices down in a competitive market, but the same tool can raise your prices when the market dries up. So when people begin to disappear out of your market and fewer products are being sold, your prices will go up while still ensuring that you’re offering a competitive product that people are going to purchase. Repricers can also work to help you keep track of all the different prices you are using if you sell on multiple online platforms. It can be very confusing when you sell products on Ebay, Amazon, Walmart and other online retailers and it’s easy to forget what your prices are on some of those platforms. Some advanced Amazon repricers will help you track prices on other platforms as well and work to help make sure you are working your products in a way that’s going to achieve optimal profits for you. Selling for the most profit online really is an exact science, and the right tool will make your life a lot easier when trying to accomplish the best level of profits. There is some level of risk when you decide to work with a repricer though. Once risk is that you’re going to come up against another repricer and in order to keep at the top of the list your product is going to go through many many cycles of lowering prices until you’re not making much off a product sale any longer. A repricer is a powerful tool to help you make more sales and run a successful online retail business , but it’s not the right tool for everyone. If you aren’t in a highly competitive market, or you aren’t dealing with many different product listings, the tool might not be worth the investment for you. With so many different options to choose from it’s important to look at different reviews and to learn about the different tools available before deciding on the one that’s going to work best for you. Some tools are more expensive than others, and you really need to compare the different options closely to come up with a solution that you’re going to be happy with. With enough research, you might realize that a repricer tool is just what you need to take your business to the next level, and in that case it’s going to be one of the most important investments that you can make for long-term success with online sales.